2018 has been an incredible year for Stylo G, with February seeing Stylo celebrate 10 years in the music industry with the release of his incredible EP ‘Ten Years Later’, October seeing the release of the massive single ‘Touch Down’ and the beginning of December seeing Stylo drop the HUGE remix of ‘Touch Down’ featuring both Nicki Minaj and Vybz Kartel. After 10 years in the industry it seems that Stylo G is finally getting the recognition he has deserved since the beginning. Stylo G’s career began 10 years ago with the release of the UK classic ‘My Yout’ which featured both Ice Kid and Sickmann. ‘My Yout’ still remains a street classic in the UK and really introduced Stylo G to the UK audience. With Stylo G’s use of patios over a traditionally grime riddim creating a huge buzz, with Stylo G being called up to perform at some of the biggest grime events in the UK. Stylo G had originally relocated to the UK from Jamaica at age 15, following the murder of his father Poison Chang, who had been a producer and artist in Jamaica. With Stylo even performing on stage with his father at the tender age of 7. During his early career Stylo experimented with a variety of sounds, using both his Jamaican origins and the popular music of his new home, the UK, to influence him. With his early tracks like ‘G Shock Watch (Boasy)’ with UK artists RASCALS, Maxx and Cashtastic showing this combination of influences, combining his Jamaican style with the emerging UK urban sounds. During his early career Stylo G surrounded himself with many other emerging UK artists including artists like Giggs, Chip and Wretch 32. With Stylo G continuing to merge these emerging styles with his own unique style in his recordings, featuring alongside Giggs in the track ‘Gunshot’ and also releasing a remix of Giggs’ street anthem ‘Talkin The Hardest’, with Stylo G naming the track ‘Dancehall Artist’. Around this time Stylo G also co-founded a collective of UK dancehall artists named the ‘Warning Crew’, who are perhaps best known for their remixes of hit UK and US tracks, but have also teamed up to release medleys on riddims from Jamaica. With the collective including big names in the UK dancehall scene like Lisa Mercedez and Stamma Kid. 2012 saw Stylo G release the underground smash hit ‘Call Mi A Yardie’, which once again pushed Stylo G to the forefront of UK music, with the Guardian newspaper even naming Stylo G as an artist to watch in 2013. The Guardian were not wrong naming Stylo G as an artist to watch in 2013, with Stylo G continuing to cement the reputation he had earned with ‘Call Mi A Yardie’. Signing with UK based record label 3 Beat and releasing his debut single with 3 Beat, ‘Soundbwoy’ in 2013, which went on to become Stylo G’s first and only (to date) top 20 hit in the UK peaking at 18. We should not forget that around this time Stylo G was continuing to provide anthems for the street as well as moving closer to chart success, with singles like ‘Cross The Leader’ showing Stylo G’s commitment to providing relevant music for dancehall fans. Stylo G took no time off in 2013 continuing to make sure his name remained relevant in the popular music landscape, following the release of ‘Soundbwoy’ with the equally impressive ‘Badd’ which features dancehall legend Sister Nancy. Stylo G was continuing what he had done all of his career with these releases, combining his Jamaican influence with the popular sounds of the UK. Stylo G continued combining popular music with his Jamaican origins in 2014, releasing a remix of his own track ‘Call Mi Yardie’, changing the lyrics and sampling Bob Marley’s ‘Could You Be Loved’, re-branding the track as ‘Call Mi A Leader’ . Stylo’s alterations to the original made it more marketable in the pop world and achieved great success, whilst also staying true to his roots and representing for the legends before him. 2014 also saw Stylo G team up with music based Electronic music band Clean Bandit to drop ‘Come Over’ which has since gone on to hit over 27 million views on YouTube. 2015 was another big year for Stylo G as he teamed up with Gyptian to release the incredible ‘My Number 1’, which hit #45 on the UK charts. Following successful years in 2013, 2014 and 2015, with Stylo G hitting the UK charts in each year, Stylo G altered his approach, looking to release more strictly dancehall singles. Although moving Stylo’s name away from the pop world’s limelight, produced some incredible dancehall records including 2016’s ‘Boomin’ Ball’. The end of 2016 saw the release of yet another street anthem from Stylo G with ‘Yu Zimme’ dropping in December on Link Up TV. ‘Yu Zimme’ once again sent everyone’s eyes and ears towards Stylo G, with plenty of remixes to follow. The track’s first remix dropped in March 2017, with Ding Dong being called in to drop a verse on the track, in a video with cameos from Shenseea and Ding Dong. ‘Yu Zimme’ was attracting a lot of attention in UK, Jamaica and internationally. Next came the remix from the legendary UK rapper Chip with the second remix arriving in June 2017 on Link Up TV, with the video since hitting over 2 million views. The final remix of ‘Yu Zimme’ and perhaps the most impactful landing in August 2017, with Stylo G bringing fellow Warning Crew member Lisa Mercedez and UK based rapper MS Banks onto the track. This remix of ‘Yu Zimme’ attracted the attention of Nicki Minaj, with Nicki shouting out Lisa Mercedez and Ms Banks on Twitter following the release of the remix. Stylo G followed up the incredible success of ‘Yu Zimme’ with his ’10 Years Later’ EP, which celebrated Stylo G’s decade long career in the music industry. ’10 Years Later’ saw Stylo G linking up with the King of The Dancehall, Beenie Man on ’10 Metric Ton’ and Junior Reid on ‘Breadman’. Stylo G also brought in UK rapper Shakka on ‘Under Construction’ and featured Chip’s ‘Yu Zimme Remix’ on the EP. ’10 Years Later’ should be seen as a historic moment in UK dancehall, something which Stylo G is no stranger to providing. For many artists having one historic moment in a year would be enough, but clearly not for Stylo G.
Stylo G maintained a buzz in 2018 by continuing to release tracks following his ’10 Years Later’ EP, with releases like ‘Follow Me’ and ‘Wrong Way’. But the best way yet to come. Stylo G dropped a bomb on everyone in the dancehall scene with ‘Touchdown’ in October, which saw Stylo G link up with UK production trio The FaNaTiX, with the single creating a huge buzz internationally and in the UK. That buzz quickly changed to something like a roaring jet engine, when Stylo G dropped another bomb in early December drafting in two legends on the remix to ‘Touch Down’. Bringing arguably the best female rapper in history, in Nicki Minaj; and arguably the best dancehall artiste in history, in Vybz Kartel together on one track. Creating a historic moment not only in UK dancehall and UK music, but in dancehall as a whole. Although taking off over 10 Years ago now, Stylo G is finally beginning to receive the attention from the dancehall community he has deserved his entire caree. For 10 year Stylo G has been honing his talents and releasing incredible music in the UK, Stylo now has a co sign and feature from one of the biggest artists in the world, in Nicki Minaj, and a co sign and feature from the biggest artiste in dancehall for over a decade, in Vybz Kartel. 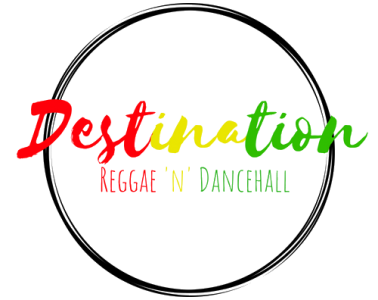 At Destination Reggae n Dancehall, we are just excited to see what Stylo G is about to do in 2019, as it would appear that he has finally touched down in the upper levels of dancehall, somewhere he should have been for a long time now.